Due to his 8 years of duty with the US Navy’s EOD program, Capt. Pete has spent nearly as much time under water as he has on top of it. 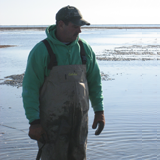 However in 1980, after active-duty retirement and several years of restaurant management experience, Pete returned home and finally found his flippers grounded in Eastern Shore mud, where his love of farming clams and oysters blossomed. 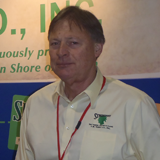 Over the last 30 years he’s worked tirelessly to grow and maintain the company that was founded by his grandfather. Today, when he’s not playing games of Solitaire on the computer or agonizing over VA Tech’s football recruiting class, he busies himself with the day to day operations of H.M. Terry Co. as he leads this rag-tag team of misfits into the 4th generation of family operations. 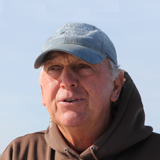 The total waterman, Jack has spent his life working the water. 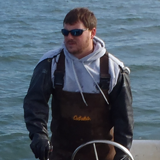 Whether it’s hauling crab pots, working shrimp boats, or laying fish traps, he epitomizes the traditional waterman. And even now, as a full-time employee and President of H.M. Terry Co., Jack’s side-hustles include running minnow pots and building bait machines. He says he’s working up enough money to buy the company and fire us all. A strong desire to raise his family on the Eastern Shore, coupled with an opportunity to continue a generational family business with his brother Pete, was reason enough for Wec to leave Houston, Texas and the corporate world behind. Returning home in 1981 with a Marketing Education degree from Virginia Tech and a number of years experience in corporate business, he has since brought over 30 years of sales and marketing experience in the Seafood business, combined with stints on local, state, and regional seafood and agricultural boards and commissions, to the company. Today, Wec is committed to supporting the advancement of the 4th generation now active in the family business. Capt. Pete put Heather to work on the flats as soon as she could wield a clam pick. Growing up, her responsibilities included digging clams, helping in the grading room, and—her favorite—tending to our nursery operation. Admittedly, a considerable amount of her time back then was also spent throwing mud at Brian. After graduating from Virginia Tech and later receiving a law degree from Michigan State, she became an attorney and spent a short time practicing law on Wall Street. 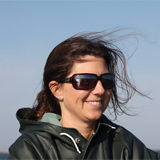 However, the Eastern Shore has a way of calling you home and it wasn’t long before Heather traded in her high heels for hip boots and returned to the Shore for good. These days, she is still in charge of caring for the “babies” in our seed system but also puts time in the hatchery and in the field. She also acts as our unofficial Marketing Director and attends a surprisingly large number of industry meetings. Raised in the DC suburbs of Northern Virginia, Rich spent more of his life in traffic than on the water. He received a BA in History from James Madison University and worked summers for H.M. Terry Co while working toward a MFA in Creative Writing from George Mason University. 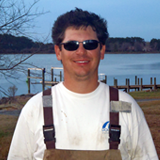 After earning a master degree and teaching English a year or two at the community college in Charlotte, NC, Rich put his education to good use and made the logical next step in his career path to clam and oyster farmer. Today, he makes up for lost time by spending most of his days in the boat figuring out the hard way where not to go in the bay. Young, energetic, enthusiastic, capable, hard working, and personable, Brian likes to use adjectives to describe himself. Born and bred on the Shore, Brian spent his early years playing on mud flats and running boats through the marshes. During his youth, he worked—between hunting and fishing—for Uncle Pete at the Oyster House, and, after graduating from Radford University with a BA in Marketing and spending 10 years in territory management in the Fire and Rescue industry, he returned to the Shore to work full-time in the family business. Brian currently heads H.M. Terry’s sister company, New Inlet, just a few miles down the road. 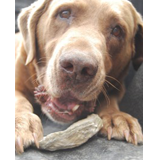 A true water dog and Willis Wharf native, Ginger has seen her share of trouble, including a run-in with a sting ray and an embarrassing incident involving a bottle of Wild Turkey. In her prime, she ruled the flats, dedicating most of her energy to chasing seagulls and harassing the crew for a game a fetch. Now in her golden years, she spends most of her time being chauffeured around town by Capt. Pete and holding court from her bed in the back of his truck. Be sure to send any customer feedback her way.